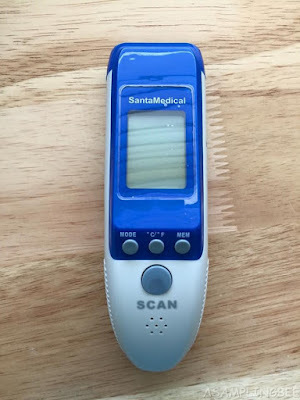 The SantaMedical non-contact infrared (IR) clinical thermometer provides a simple, expedient, and accurate way for initial fever screenings by taking the temperature of areas on the face such as the forehead or tear ducts. It obtains the body temperature reading with 0.3 degree accuracy in less than 1 second. The SantaMedical IR thermometer features an intuitive guidance system to secure positioning and confirm accurate readings. 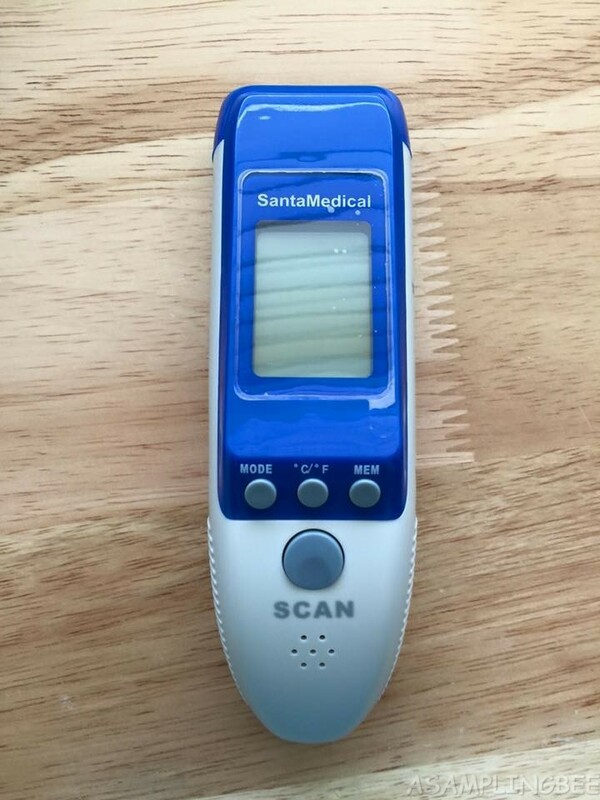 The thermometer has a memory recall. Which means that it keeps track of the last 32 readings. It has a large back-lit LCD digital screen for easy reading. 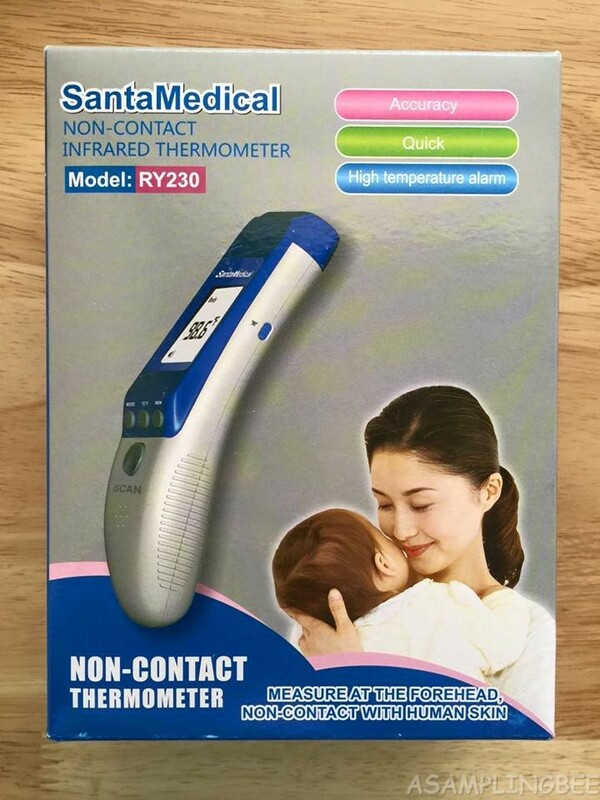 The thermometer automatically shuts off if not being used. You have the option to have your readings read in Celsius or Fahrenheit. Also comes with an adjustable audio alarm to notify of a high temperature. 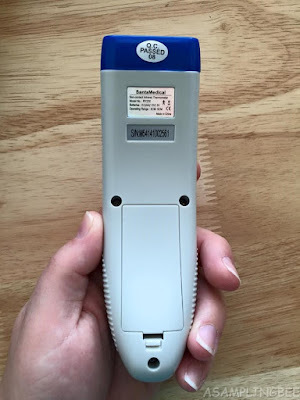 I prefer this type of thermometer over the under the tongue thermometer. This non-contact thermometer makes it so much easier for take my children's temperatures. I get a reading in less than 5 seconds and there is no fighting or crying. The thermometer works very well. 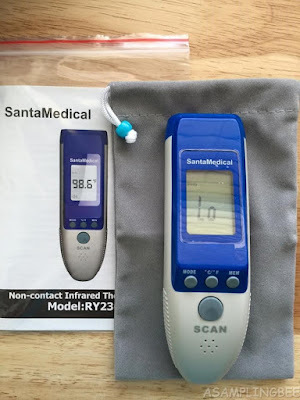 The thermometer comes with a carrying bag/storage bag, instructions and batteries.